Many whisky tourists have visited all eight of Islay’s distilleries, but how many can claim to have experienced them all from the air? 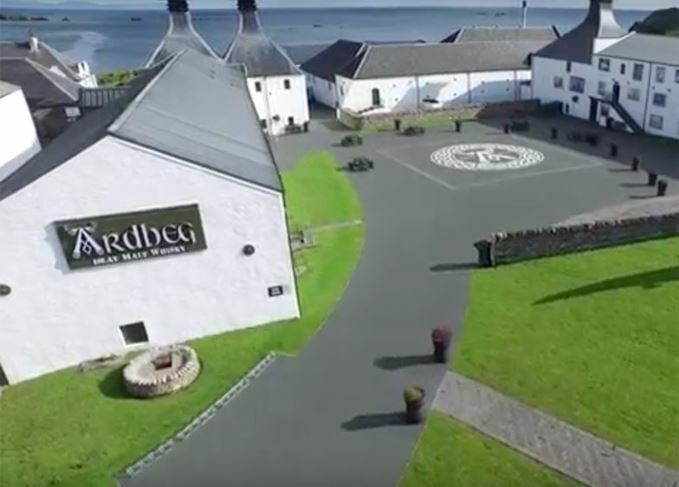 This neat video from Swedish Vimeo account Per Lundgren shows every operational distillery on Islay from a bird’s eye view using a DJI Inspiri HD quadcopter drone camera. From up high viewers can glimpse aspects of the distilleries that are usually inaccessible to visitors, including the tops of Ardbeg’s pagodas, Bunnahabhain’s portentous line of slate grey warehouses, and Kilchoman’s relative minuteness. For many visitors to Islay this video may also be the first time they catch the island bathed in a rare moment of sunshine.